The Republic of Malta, a full EU member since 2004, is strategically located to provide services to the international community. 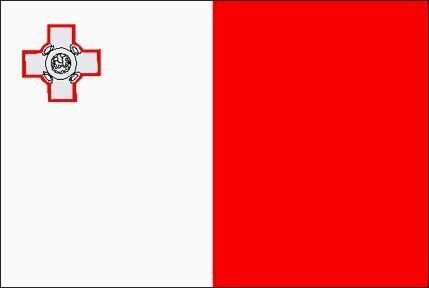 Malta an English speaking country, has built upon the commercial laws of England and now the EU, to position itself as a premier family wealth, corporate and financial services jurisdiction. With robust, competitive taxation rules, Malta has achieved sustained economic growth. 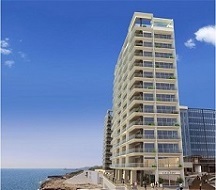 Such growth is not solely the result of Maltaâ€™s tax and fiscal policies â€“ there are other important factors such as a multilingual workforce, lower labour costs, a strategic location and a sound telecommunications infrastructure.As a result, there has been an influx of interest from investors, high net worth individuals and corporations, who desire a stable, reputable environment in which to structure their personal and corporate affairs - as well as to reside. 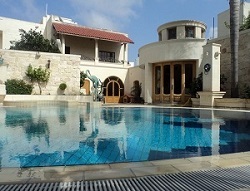 Now in 2019, it is possible to apply for High Net Worth Immigration to Malta (Malta Residency by Investment) to acquire Malta residence (Malta Golden Visa), which allows the applicant and his family to live, work, and study on the incredible island of Malta through a fast Malta property investment and financial contribution! 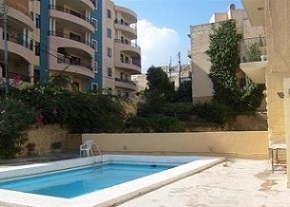 Why apply for Residence by Investment, in Malta? EU Country - Since 2004, Malta has been a member of the European Union (EU) and OECD, and is a highly respected country. Citizenship of Malta offers the right to live, work and study in any of the 28 EU countries and Switzerland. Also, you can benefit from Free movement of People, Goods, Services and Capital, within the EU. Location - Near Italy, and 2 hours flight time to Germany, and 3 hours flight to London, UK. Banking System - â€˜Aâ€™ Credit Country Rating by Poors, Moodys and Fitch. Rated as the 10th Soundest Banking system in the world. English language - English is an official language. GDP - â‚¬9.62 billion Gross Domestic Product. GDP Growth 2.9%, and GDP per Capita â‚¬15,300. Low Unemployment Rate - Only 6.0%, compared to EU 9.8%. Work Permit - Resident may apply for Work Permit, under ordinary labour laws. No World-wide Taxation - Income arising in Malta or foreign income brought into Malta is subject to ordinary tax rules of Malta (progressive income tax bands). Income not received in Malta is not taxed in Malta (0% tax on foreign capital gains). Malta has over 70+ Double Taxation Treaties. Residency Requirements - Allowed an absence of 6 consecutive months or 10 months in 5-year period. Third Country National - The applicant cannot be from the EU, EEA or a Swiss national. In addition, the applicant cannot be benefiting from any other Maltese tax or residency programme. Age - The main applicant must be at least 18 years of age. Fit and Proper Test - As part of the Malta Residence and Individual Investor Programme, there is a four-tier due diligence process carried out directly by the government to assess candidates comprehensively. Applicants must have a clean criminal record, and the Malta government conducts extensive criminal checks with INTERPOL, the International Criminal Court, and various other sources and authorities. As part of the due diligence process, applicants must also provide a police certificate before they will be approved for European citizenship. Excellent Health - Applicants must prove that they do not suffer from any contagious diseases. All applicants must also be covered by an 'all-risks' EU wide health insurance policy. Income - The Applicant must declare an annual income of not less than â‚¬100,000 arising outside Malta or has in his/her possession a capital of not less than â‚¬500,000. 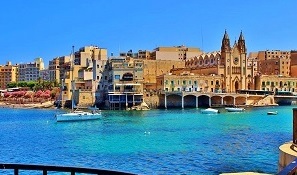 Property Purchase or Rental - Applicants are required to make an investment in property of at least â‚¬320,000 (Malta) or â‚¬270,000 (Gozo / South of Malta) or enter a property rental contract for at least â‚¬12,000 (Malta) or â‚¬10,000 (Gozo / South of Malta) p.a, both on five year contracts. Financial Contribution to the Government of Malta - To qualify for Maltese Residency by investment, the main applicant is required to contribute at least â‚¬30,000 in Malta, of which â‚¬5,500 are due at application stage, and â‚¬24,500 on approval. Investment in Bonds/Shares - Applicants are required to invest at least â‚¬250,000 in Government approved bonds / shares to be kept for 5 years, and then returnable to the Investor. This is only due on approval. Valid Travel Document - The Applicant must have a valid travel document (Passport) for himself and his dependents. Dependents - The Applicant can include dependents in visa application, including: Spouse, Child (and adopted) under 18 years, Unmarried child 18-26 years, and Parents and Grandparents.